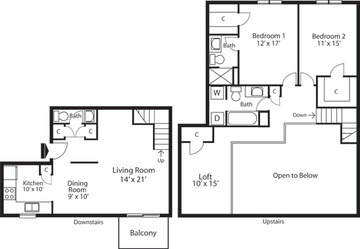 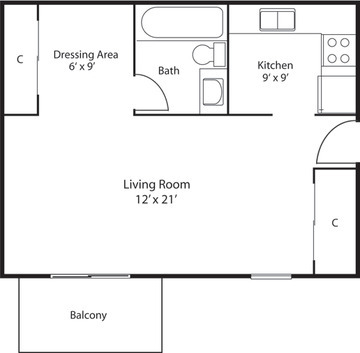 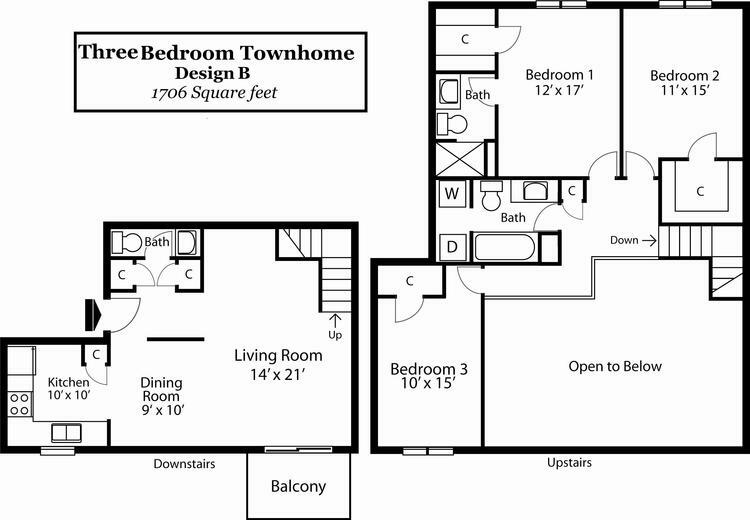 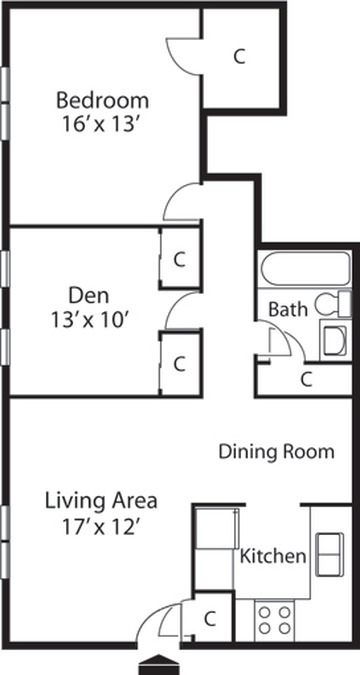 The 3 Bedroom Townhome Design A floor plan features 1750 square feet. 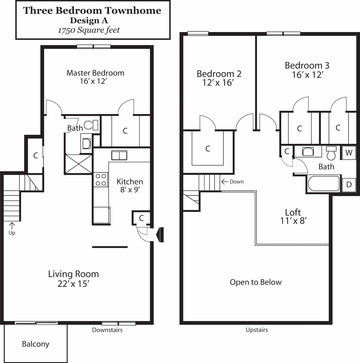 This spacious townhome is complete with full-size washer and dryer connections, 3 spacious bedrooms all with walk-in closets. 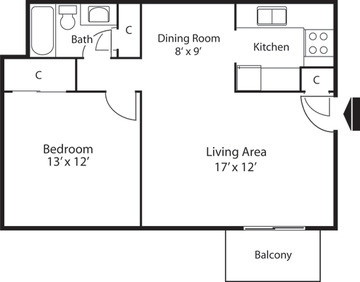 You will love calling Landmark Apartments Home!